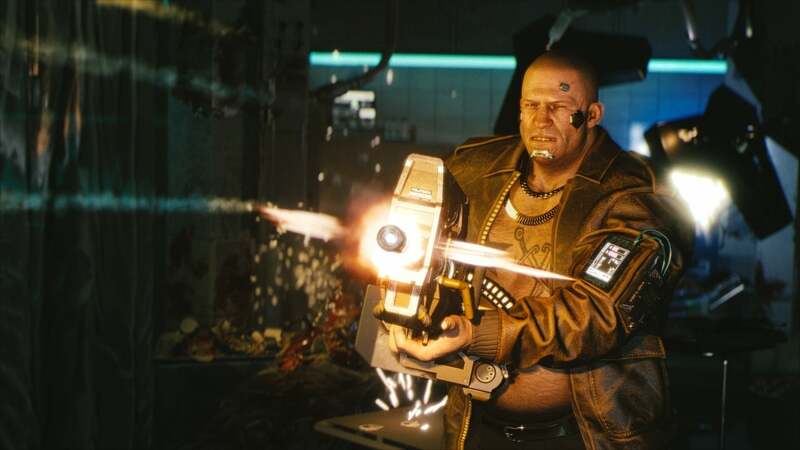 Earlier this week, CD Projekt Red released a brand-new batch of Cyberpunk 2077 screenshots, as well as revealed that the game is playable from start to finish. And now the Polish developer has provided more insight into the game's development. Speaking during a Gamescom panel livestream, developers on the team revealed an interesting tidbit about the game's shooting: that its creation and fine-tuning has been helped by a former professional Counterstrike player, Lukasz “Luq” Wnek, who notably won the World Cyber Games in 2006 and in 2009, among other prizes during his reign as one of the world's best Counterstrike players. What's interesting here isn't that CD Projekt Red has sought out outside expertise – this is its first time creating a shooter after all – but that they chose Wnek specifically. Did the Polish developer collab with the former pro player because they are creating gunplay similar in feel to Counterstrike? Or did they simply want feedback of someone who knows a thing or two about how good shooting should feel? Who knows, but it is an interesting thing to think about. As mentioned above, this is CD Projekt Red's first stab at making a shooter. Further, Cyberpunk 2077 isn't purely a shooter, it's also an RPG, so there is more to the gunplay than simply the shooting itself. In other words, it's a huge undertaking and is a bit risky by the developer, which perhaps explains why it is seeking expert feedback where it can. Elsewhere in the panel, CD Projekt Red also talked about the game's various endings for a bit, revealing that simply playing as the "good guy" doesn't mean you'll get a "good ending." Further, almost every choice you make throughout the game, even during side-quests, will impact the main storyline, and could impact the ending even. The Polish devs also briefly touched upon how it drew upon Judge Dredd for inspiration for some of its "megabuildings." which are multilevel skyscrapers, ominous in size and presence. Cyberpunk 2077 is in development for PlayStation 4, Xbox One, PC, and possibly next-gen systems. It currently doesn't have a release date, or even release window. For more news, information, and media on the game, be sure to peep all of our previous and extensive coverage on the title by clicking here.